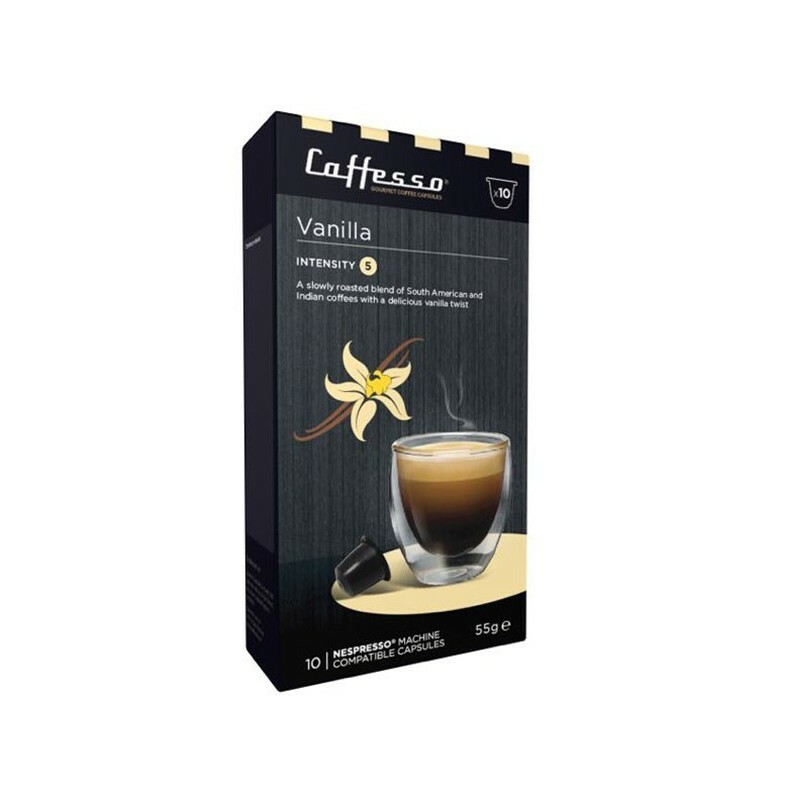 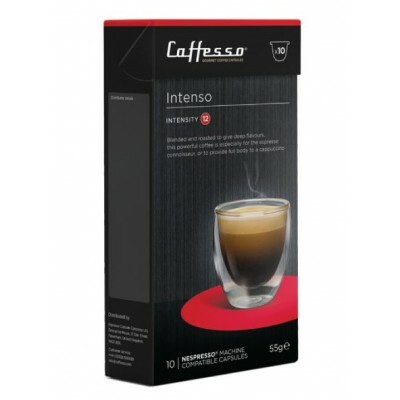 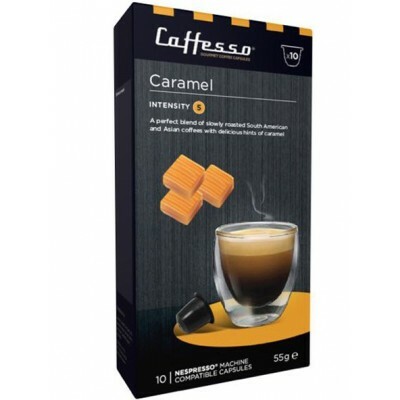 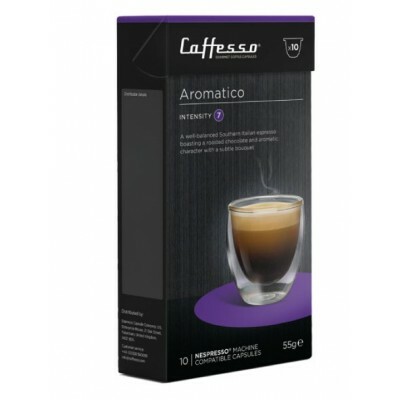 Caffesso Vanilla Caffesso Nesspresso ® Caffesso Compatible Caffeine. 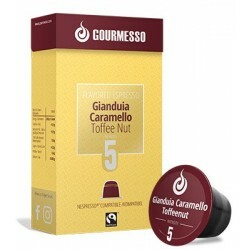 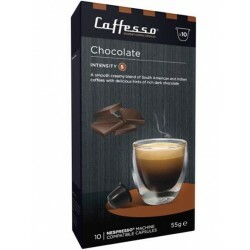 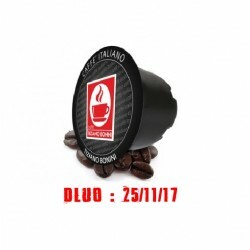 This vanilla flavored coffee capsule consists of a sumptuous blend of South American and Indian coffee. 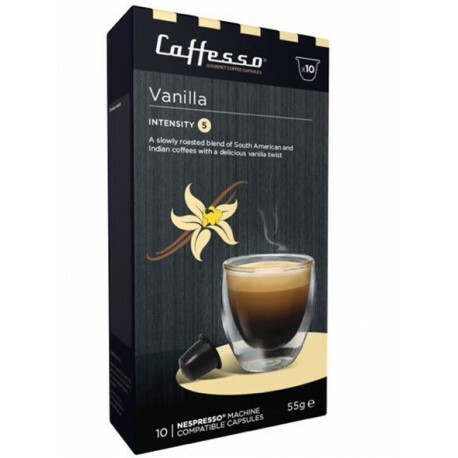 The vanilla aroma perfectly sublimates this coffee.